If you have been injured on the job and are looking for a doctor you can trust, contact CD Orthopedics today to schedule your appointment. The highly qualified and skilled team at CD Orthopedics are dedicated to helping any and all Workers’ Compensation patients get back to work in a quick and safe manner. Our team is well trained in Workers’ Compensation injuries and we are here to help you get healthy. Dr. Durant will carefully evaluate and treat your work-related injuries by providing you with the highest level of care. 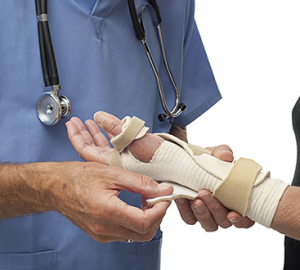 You will be provided the proper care you need for your injury so you can be back on the job promptly. Our team works closely with all parties involved to make sure the process goes as smoothly as possible. We understand the pain and frustration that can come with a Workers’ Compensation injury and we are dedicated to helping you get through it, from start to finish. At CD Orthopedics we provide assistance in any scheduling, status reports, or paperwork necessary to assist you in this process.